The National Drug Law Enforcement Agency (NDLEA) on Friday said it had apprehended a 22-year old Malian in possession of compressed cannabis weighing 4kg. A statement issued in Lagos on Friday by the agency's Head of Public Affairs, Mitchell Ofoyeju, said that the suspect was a businessman and also a student at Guangdong University of Technology, China. According to the statement, the suspect holds dual citizenship of Nigeria and Mali. It said the suspect was arrested at the Murtala Muhammed International Airport (MMIA) in Lagos, while attempting to board a Kenyan Airways flight to China. The statement said that the cannabis was hidden inside foodstuff like melon, dried bitter leaf and assorted local spices. It said that the suspect, studying Chinese language, was travelling with a Malian international passport No. B0563273. 'Preliminary investigation revealed that his Ibo name is Ebuka Onyedigbo and he hails from Okija, Anambra State. 'Kone Ali has lived in Guangzhou, China, since March 2013. He was found with a student identification card of Guangdong University of Technology, China,' the statement said. 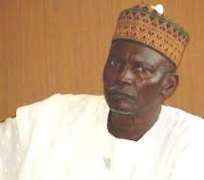 NDLEA commander, Hamza Umar, said the suspect was nabbed while trying to check-in. He stated further that the arrest of Kone Ali took place at the departure hall of the Lagos Airport. The statement quoted the suspect as taking responsibility for his action. 'I am a victim of carelessness. My friend in China called me that I should bring a bag containing foodstuff from Nigeria. 'I had every opportunity to have turned down his request, so I take full responsibility for my actions. 'A man who identified himself as a Ghanaian brought the bag to me in Lagos. He said that he was instructed by my friend in China to bring the bag. 'At the screening, the drug was found by NDLEA officers. Now, I cannot go back to my school and my parents are angry with me,' the suspect was quoted as saying. Ahmadu Giade, NDLEA Chairman said the suspect violated the provisions of the NDLEA Act. 'It is pertinent to stress the position of the law on unlawful possession and attempt to export illicit drugs. 'The fact is that drug was found in his bag. Investigation is ongoing and I urge members of the public not to collect bags or items from people when travelling. 'If they must collect bags, they should insist that the owners must witness the search at the airport,' the statement quoted Giade as cautioning the public. It said that the suspect would soon be charged to court.